Finally- a portable set of FOUR Rings! 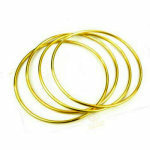 Many Linking Rings routines need only FOUR rings! Why cart around extra rings if you don't need them? 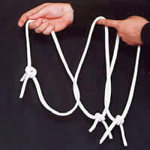 And please note that this is a PORTABLE SET of 4 rings! The rings are metal, and are about 5" in diameter. 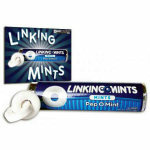 The 5" size means they are lightweight and easily held by children, but make no mistake- this is a nicely made set, perfect for tucking into a closeup case if you are a restaurant worker or strolling magician. 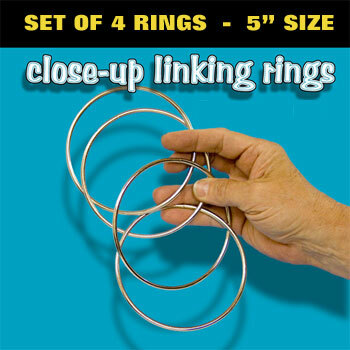 You can get the incredible Complete Linking Rings Instruction DVD for a discounted price when you buy any set of Linking Rings- including the set you are looking at here! 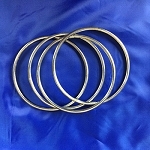 Rings are 5" diameter. Solid metal. Set of FOUR. 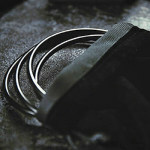 PETER SAYS: HERE'S A VIDEO OF MY ROUTINE WITH THE LINKING RINGS! You are welcome to learn and use this routine in your own act! 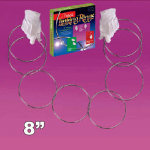 The routine shown uses a full set of 8 rings, but you can certainly get ideas for this 4 Ring set!